August may signal the upcoming end of summer, but there are still plenty of things to do and see in Jackson Hole. 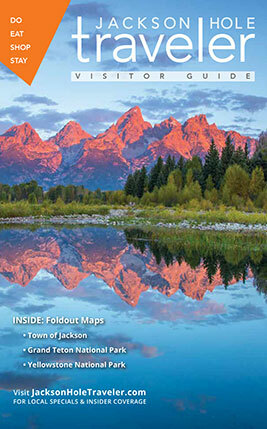 There is still a lot of summer fun to be had in and around Jackson Hole in August. Music festivals and concerts, art fairs, road and up-the-mountain races, as well as performances by nationally-known musicians and dancers at the Center for the Arts are all on tap this month. We've got the most comprehensive list of things to do in Jackson Hole in August. Check it out and take in all of the month's offerings. • Jackson Hole Shootout - The longest running shootout in the country; daily except Sundays in Town Square at 6 p.m. Alive@5 on the Village Commons: Wild Things of Wyoming - An interactive and engaging experience about the animals who make Wyoming their home. Free. The Grand Teton Music Festival welcomes top talent from world-renowned symphonies each year. Under the baton of Music Director Donald Runnicles, these musicians come together to soak up inspiration from the mountain setting, renew their artistic vows to music making and provide exhilarating music for festival patrons. Scenic floats on the famous Snake River allow you to experience Jackson Hole or Grand Teton National Park from a "boat's eye view," seeing wilderness and wildlife that you wouldn't be able to access on foot or by car—not to mention the riverside views of the spectacular scenery. From your raft you’ll be able to spot bird species like bald eagles and sandhill cranes at close range as they fish at the riverbank. If you're lucky, you'll see a moose wading through the water, or perhaps elk, deer, coyote, or even a bear! You aren't likely to get wet, but it's still a good idea to dress in layers and to bring water and extra sunscreen. The scenic float is also a photographer's dream so don’t forget your camera and/or smartphone. Trips average a total of 3 hours in length. Reservations are required!